Thanks for visiting our class website! You will find important news as well as useful websites for your child to visit. Check out what we've been up to so far this year! You can also find us on Facebook! Just search our page, Ms. Schaffner's 3rd Grade Class. Hello! I'm Ms. Schaffner and this is my 8th year teaching 3rd grade. I have been working in the district since 2008. 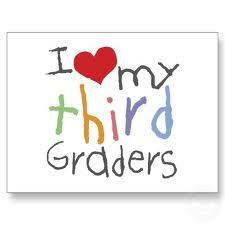 I am very excited to begin a new year in third grade! I am also the head coach for Girls on the Run (GOTR)! For more information about GOTR, please click on the link at the top. Feel free to contact me with any questions or concerns throughout the year. The quickest way to reach me is through email!